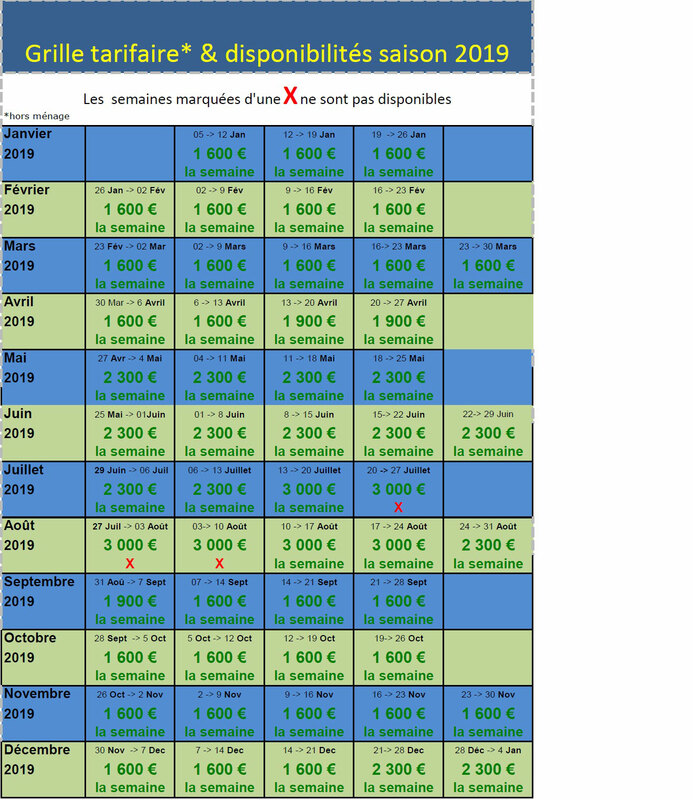 Tarifs & Disponibilités - Site de la-jembertie-en-perigord ! 1600 € / 3500 € par semaine, selon saison . Tarif dégressif selon durée . Charges comprises. Caution 3 000 € . Arrhes 30 %. Forfait ménage : 200 € . 1600 € / 3500 € a week, according to season. Tapering rate according to duration. Included loads(responsibilities). Pledge 3 000 €. Deposit 30 %. Failed optional household(housework) in 200 €.